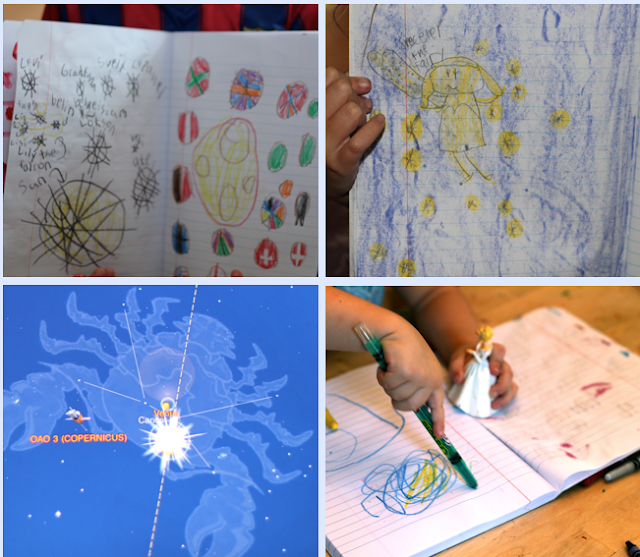 Today we looked at constellations on the iPad app, Star Walk, and then created our own. What's your favorite constellation? Looks like a pretty fairy constellation, a super soccer constellation & a Cinderella constellation.